Howdy, peeps, and thank you for reading this anti-spamming guide. The purpose of this guide is the self-diagnosis of spammers. I imagine that some of you who read this are insulted by the very concept. "How could I be a spammer? Am I not the coolest thing since the other side of the pillow?" Well, sorry to say, others may have a different view of you. As you read this guide, please try to remain objective. 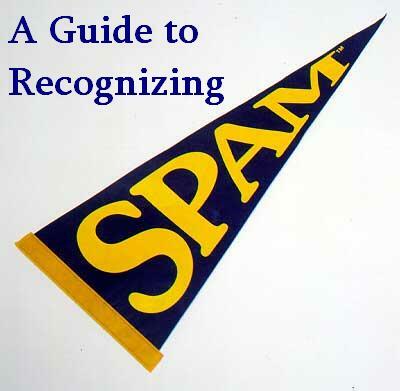 Most of us are guilty of spam in some form or other; thus, this guide applies to everyone, not just to chronic spammers. First, I would like to thank the board administrators, and especially Louis Wu, for their hard work in keeping this forum running. I'd also like to thank Shishka for setting up a good guide format which I have shamelessly copied. Linking to funny websites. While you may find the websites entertaining, most people will not find them worthwhile. As a general rule, simply avoid website linking altogether. Conversations. Perhaps the most annoying form of spam, conversations are a major source of annoyance for forum administrators. Questions and remarks between two people which can just as easily be addressed with e-mails fall under this category. So do threads full of short, relatively random comments. ALWAYS begin with the base assumption that your off-topic post is spam rather than assuming it isn't. If you have ANY DOUBT AT ALL as to whether your post falls into the above categories, do not, I repeat, DO NOT POST IT. And above all, use common sense! Your head is more than a hat rack. If you post a trick you've found which is listed on the HBO site or can be found with a quick forum search, you're spamming. More information can be found in Shishka's Guide for Newcomers. If you want to advertise for a non-Halo site that you've created, put it in the "Optional Link URL" box at the bottom of your message. Do not post a new thread advertising your site here. Can you guys please, please, please get the message and try to limit the amount of negative stuff you post? If you see a thread that is just a total waste of time, ignore it. An admin will make it go away if it's truly useless. If you add to it, you simply make the problem bigger. Flames can be funny, but 95% of the time, they are stupid and harmful. And each flame adds another gray hair to Louis' beard. Thus, it would be in everyone's best interest to avoid flaming. At the time of this writing, there are five individuals with administrative capabilities who monitor this board. They can and will delete spam, typically with no warning. Spammers are not tolerated. Forum regulars, especially, dislike cerebral vomit cluttering the forum. 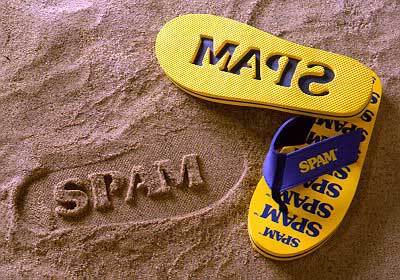 If you want your thoughts to be taken seriously or even read at all by anyone, do not spam. It will damage your reputation for a long time--I know of at least one regular with a mind like a steel trap. If you continue to spam despite repeated warnings (by post deletion or rebuke on the forum or by e-mail) to stop, you will be banned. Administrators have the power to ban a person's IP subnet and will do so if necessary. If you want to discuss any old subject with the same group of people you see here every day, there are alternatives. There is the HBO Hangout group; however, this is not very active. Probably a better alternative is the Subnova Hotline. You can also visit the Psyjnir Hotline when the Psyjnir Complex eventually gets back online again. Actually, a much better idea is to simply go do something else. Go play Halo, or go out and get some fresh air and exercise (my mother is wearing off on me...); ride a bike, jog, or shoot some hoops. Another option is to read a book. I know a lot of people hate reading, but I simply believe that this is because they have never read good books. If you want some interesting books, I recommend Michael Crichton novels such as The Andromeda Strain, Jurassic Park, or especially Sphere. They should be at your local library, if it's worth its beans. Of course, you could always buy and read a copy of Halo: The Fall of Reach (and Halo: The Flood, when it comes out). My point is that this forum is in no way your sole source of amusement, no matter how sad and antisocial your life may be. Hit "Preview Message" after EVERY post, no matter how short or simple. You will have the opportunity of seeing your post as others will see it. On many occasions, seeing my blurted words printed out in fine Verdana has been enough for me to scurry to my browser's Back button. Impose a minimum length requirement on your own posts. This should cut short spur-of-the-moment replies, which are often stupid. Leave the forum for a few days. In your time away from it, good ideas for posts will come into your head. Then, when you arrive back, people will (probably) applaud your intelligence. It's a win-win situation. Be conscious of your image. Try to prove to others that you are smart. This has helped me immensely because now I recognize my responsibility to not spam. Hide your keyboard. Being forced to use Character Map to type is an effective way to slow down your overwhelming tide of spam. If you have any other good ideas, feel free to share them. If all else fails, inflict pain upon yourself until you learn to stop. This is a simple yet effective way of stamping out spam.